Join our special guest, Carol Tonge Mack, UC staff member and author of Being Bernadette: From Polite Silence to Finding the Black Girl Magic Within. 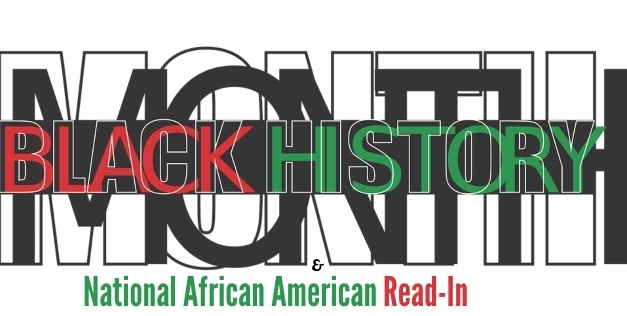 Volunteer to read an excerpt from a book by an African American Author by signing up online. This guide represents a wider selection of "Must Read" books by African American authors available at UC Blue Ash Library. These books can be found on top the the first row of bookshelves near the printers behind the desktop computers. Yellow bookmarks identify books written by African American authors and can be used as part of the African American Read-In. An anthology of 16 stories and excerpts from novels by African American writers includes critical essays on each author by a variety of scholars. The book describes the movement by African American authors from slave narratives and antebellum newspapers into fiction writing, and the subsequent developments of black genre fiction through the present. A companion volume to the four-part PBS series chronicles the lives of Africans as slaves in America from the time of the Jamestown settlement through the end of the Civil War, while exploring African-Americans' modern-day struggles with racism. A singular collection of autobiographical accounts that not only testify to the personal courage of individuals in overcoming the ravages of racism but also document their contributions to the establishment of a vital antiracist tradition in American thought and culture. A Harvard Law School professor examines the impact that Brown v. Board of Education has had on his family, citing the contributions of such individuals as Thurgood Marshall, Martin Luther King, Jr., and Earl Warren while revealing how the reforms promised by the case were systematically undermined. Professor Gates traveled across the country interviewing forty-four famous and not-so-famous individuals from parts of the African-American community - the "Black Elite," "The New South," "Chicago's South Side," and "Black Hollywood. This groundbreaking study shows us how black women experienced freedom in the Reconstruction South; their heroic struggle to gain their rights, hold their families together, resist economic and sexual oppression, and maintain their sense of womanhood against all odds. In the searing pages of this classic autobiography, originally published in 1964, Malcolm X, the Muslim leader, firebrand, and anti-integrationist, tells the extraordinary story of his life and the growth of the Black Muslim movement to veteran writer and journalist Alex Haley . This collection from the rich literature of African American autobiography documents the experience of being black in America, from slavery to present day, in the words of Frederick Douglass, Toni Morrison, and forty other contributors. Langston Hughes, born in 1902, came of age early in the 1920s. In The Big Sea he recounts those memorable years in the two great playgrounds of the decade--Harlem and Paris. In Paris he was a cook and waiter in nightclubs. In Harlem he was a rising young poet--at the center of the "Harlem Renaissance." Being country is as much a part of me as my full lips, wide hips, dreadlocks and high cheek bones. There are many Black country folks who have lived and are living in small towns, up hollers and across knobs. They are all over the South--scattered like milk thistle seeds in the wind. In Black Sexual Politics, one of America's most influential writers on race and gender explores how images of Black sexuality have been used to maintain the color line and how they threaten to spread a new brand of racism around the world today. This unique volume provides each writers reflection on her work, an evaluation of that writer by two perceptive critics, and detailed biographical and bibliographical data. 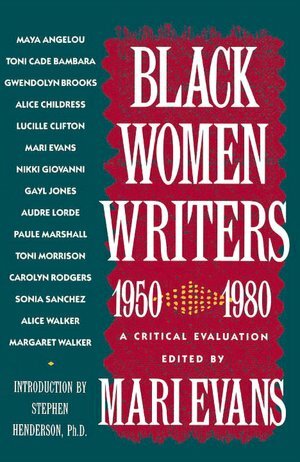 Included are Maya Angelou, Toni Cade Bambara, Nikki Giovanni, Toni Morrison, Alice Walker, and ten other outstanding writers. It is the story of eleven-year-old Pecola Breedlove -- a black girl in an America whose love for its blond, blue-eyed children can devastate all others -- who prays for her eyes to turn blue: so that she will be beautiful, so that people will look at her, so that her world will be different. A complete anthology of the poetry of Langston Hughes presents 860 poems that capture the rhythms, emotions, cultural significance, and political awareness of African-American life, from his earliest works to his final collection. The Collected Poetry of Nikki Giovanni contains Giovanni's first seven volumes of poetry: Black Feeling Black Talk, Black Judgement, Re: Creation, My House, The Women and the Men, Cotton Candy on a Rainy Day, and Those Who Ride the Night Winds. Each volume reflects the changes Giovanni has endured as a Black woman, lover, mother, teacher, and poet. Does Your House Have Lions? explores the life of Sonia Sanchez's brother - a vibrant young man who left the South for New York,. An exuberant account of Zora Neale Hurston's rise from poverty in the rural south to a prominent place among the leading artists and intelectuals of the Harlem Renaissance. A provocative analysis of the new contours of Black nationalism and feminism in the context of the changing politics of race in America. An extraordinary celebration of African-American life and culture brings together four hundred years of African-American folklore, traditional tales, recipes, proverbs, legends, folk songs, and folk art by Paul Laurence Dunbar, Zora Neal Hurston, Jelly Roll Morton, and others. Christina Vella offers a thorough biography of George Washington Carver and discovers an unassuming intellectual with a quirky sense of humor, striking eccentricities, and an unwavering religious faith. She explores Carver's anguished dealings with Booker T. Washington across their nineteen years working together at the Tuskegee Institute -- a turbulent partnership often fraught with jealousy. Uneasy in personal relationships, Carver lost one woman he loved to suicide and, years later, directed his devotion toward a white man. When Pamela Bordelon was researching the Florida Federal Writers Project, she discovered writings in the collection that were unmistakably from the hand of Zora Neale Hurston, one of the leading writers of the Harlem Renaissance. Over half of the works included here have not been published before or are only available in the Library of America edition of Hurston's works. Hurston's novels draw upon her interest in folklore, particularly that of Florida. Starting in World War II and moving through to the Cold War, the Civil Rights Movement and the Space Race, Hidden Figures follows the interwoven accounts of Dorothy Vaughan, Mary Jackson, Katherine Johnson and Christine Darden, four African American women who participated in some of NASA's greatest successes. It chronicles their careers over nearly three decades they faced challenges, forged alliances and used their intellect to change their own lives, and their country's future. 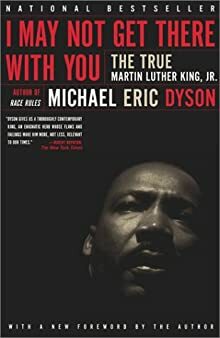 In this groundbreaking examination of the man and his legacy, provocative author, lecturer, and professor Michael Eric Dyson restores King's true vitality and complexity and challenges us to embrace the very contradictions that make King relevant in today's world. In It's All Love, Black writers celebrate the complexity, power, danger, and glory of love in all its many forms: romantic, familial, communal, and sacred. It's All Love is a dazzling, delightfully diverse exploration of the wonderful gift of love. Grant Wiggins, a college-educated man who returns to his hometown to teach, forms an unlikely bond with Jefferson, a young Black man convicted of murder and sentenced to death, when he is asked to impart his learning and pride to the condemned man. 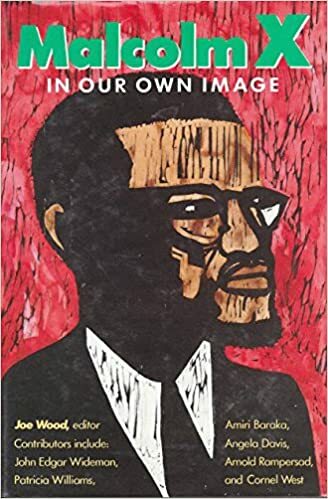 A collection of essays by African Americans on Malcolm X includes contributions by fifteen writers, including Amiri Baraka, Cornel West, and Arnold Rampersad. Two-time National Book Award winner Jesmyn Ward contends with the deaths of five young men dear to her, and the risk of being a black man in the rural South. Stacey Abrams' Minority Leader is the handbook for outsiders, written with the awareness of the experiences and challenges that hinder anyone who exists beyond the structure of traditional white male power--women, people of color, members of the LGBTQ community, and millennials ready to make a difference. As a widow and single mother of four, Coretta Scott King worked tirelessly to found and develop The King Center as a citadel for world peace, lobbied for fifteen years for the US national holiday in honor of her husband, championed for women's, workers' and gay rights and was a powerful international voice for nonviolence, freedom and human dignity. Featuring an introduction by the prominent black scholar Henry Louis Gates, Jr., and an extensive bibliography, a 150th anniversary edition of the autobiography of America's first major African American writer charts his journey from slave to statesman. Reprint. Never Caught is the powerful narrative of Ona Judge, George and Martha Washington's runaway slave who risked everything to escape the nation's capital and reach freedom. At just twenty-two-years-old, Ona became the subject of an intense manhunt led by George Washington, who used his political and personal contacts to recapture his property. Kate has always been a wanderer. A well-published author, married many times, she has lived a life rich with explorations of the natural world and the human soul. Now, at fifty-seven, she leaves her lover, Yolo, to embark on a new excursion, one that begins on the Colorado River, proceeds through the past, and flows, inexorably, into the future. As Yolo begins his own parallel voyage, Kate encounters celibates and lovers, shamans and snakes, memories of family disaster and marital discord, and emerges at a place where nothing remains but love. Drawing on her Norton Lectures, Toni Morrison takes up these and other vital questions bearing on identity in The Origin of Others. Morrison writes about nineteenth-century literary efforts to romance slavery, contrasting them with the scientific racism of Samuel Cartwright and the banal diaries of the plantation overseer and slaveholder Thomas Thistlewood. She looks at configurations of blackness, notions of racial purity, and the ways in which literature employs skin color to reveal character or drive narrative. Through in-depth interviews with young, black voters, groundbreaking survey research, and conversations with a range of high profile Americans-from Colin Powell to Russell Simmons-Party Crashing explores the issues and people who have helped shape the politics of the post-Civil Rights Generation, and how this generation is reshaping America. From Black Feeling, Black Talk and Black Judgment in the 1960s to Bicycles in 2010, Giovanni's poetry has influenced literary figures from James Baldwin to Blackalicious, and touched millions of readers worldwide. In Quilting the Black-Eyed Pea, Giovanni turns her gaze toward the state of the world around her, and offers a daring, resonant look inside her own self as well. Facing a year of night riders and burnings, Cassie and her family continue their struggle to keep their land and hold onto what rightfully belongs to them, despite the difficult battles they must continue to endure. A Shining Thread of Hope chronicles the lives of black women from indentured servitude in the early American colonies to the cruelty of antebellum plantations, from the reign of lynch law in the Jim Crow South to the triumphs of the Civil Rights era, and it illustrates how the story of black women in America is as much a tale of courage and hope as it is a history of struggle. With courage, anger, and passion, Sonia Sanchez, Gloria Naylor, Ntozake Shange, and 54 others from the African-American literary scene confront AIDS, crack, violence, abortion, sexual abuse, the sustaining bonds between women, and the love of men, in this celebration of strength, diversity, and spirit. In Street Lit: Representing the Urban Landscape, Keenan Norris has assembled a varied collection of articles, essays, interviews, and poems that capture the spirit of urban fiction and nonfiction produced from the 1950s through the present day. "Tar Baby," audacious and hypnotic, is masterful in its mingling of tones--of longing and alarm, of urbanity and a primal, mythic force in which the landscape itself becomes animate with a wild, dark complicity in the fates of the people whose drama unfolds. Cora is a slave on a cotton plantation in Georgia. Life is hell for all the slaves, but especially bad for Cora; an outcast even among her fellow Africans, she is coming into womanhood--where even greater pain awaits. When Caesar, a recent arrival from Virginia, tells her about the Underground Railroad, they decide to take a terrifying risk and escape. Matters do not go as planned--Cora kills a young white boy who tries to capture her. Though they manage to find a station and head north, they are being hunted. Traces the career of the influential African-American writer, citing the historical backdrop of her life and work while considering her relationships with and influences on top literary, intellectual, and artistic figures. Ranging from riot-torn Cincinnati, Ohio, where the nation's racial and police issues have boiled over into the streets, to illuminating community concerns from coast to coast, Kathy Y. Wilson's big, bold perspectives on urban living, race, scandal, trends and humanity are razor-sharp and profound. Her observations on the state of cultural politics in her hometown and across America will unite and inspire readers everywhere.